The team poses with the Kent League (Division 2) Cup, after having beaten Margate Reserves 3-2 in front of a Crabble crowd of 4,000. 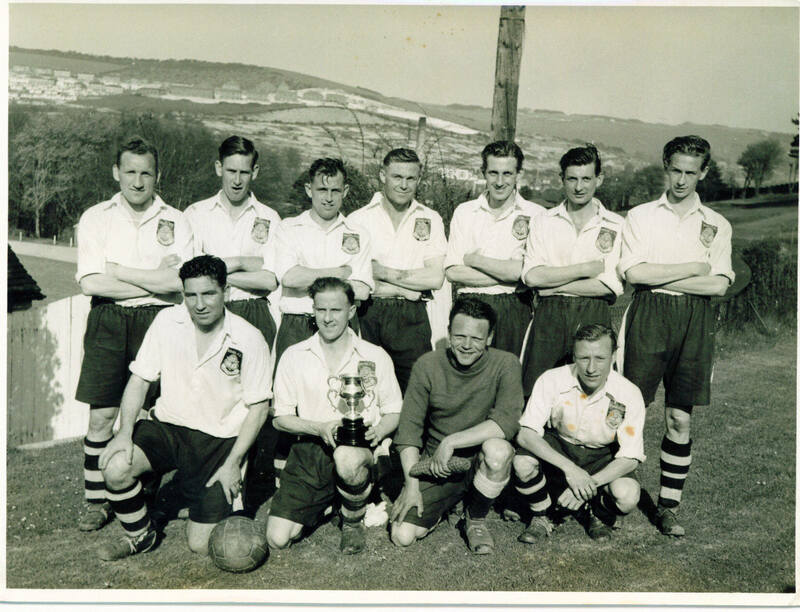 Back row(left to right): Fred Durrant, Arthur Larner, Ron Benge, Ron Jupp, Peter Ruddick, Billy Watts, Jimmy Sherrell. Front row: Albert Smith, Oliver Lucas(captain), Alan Gilese, Harry Durrant.